During the 1960s and 1970s, political revolution fueled by growing discontent with the war in Vietnam enveloped the United States. 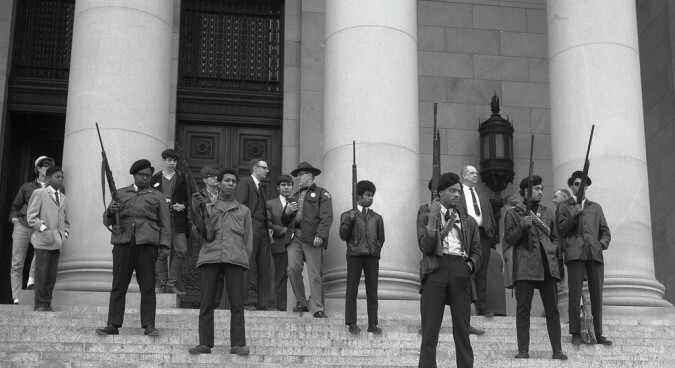 Students on college campuses recited quotes from Mao’s Little Red Book while radical organizations, such as the Black Panther Party, championed self-defense in their communities. During this tumultuous period, North Korea’s independent streak and commitment to self-determination resonated with these radicals. However, it was not a one-way revolutionary street. The North Koreans hoped to take advantage of instability in the United States and reached out to various far-left groups, such as Puerto Rican pro-independence activists, white radicals, and the Black Panthers. Three members of the PRIUSA made a visit to North Korea, in which they gave a speech to the Pyongyang City Youth and Students Association. This first encounter between Puerto Rican independence activists and North Koreans would not be the last, and both sides saw the value in continuing this partnership. The North Koreans offered the Puerto Ricans much needed international support for their cause, while the Puerto Rican separatists contributed to growing instability in the territory of the North Korea’s archenemy, the United States. 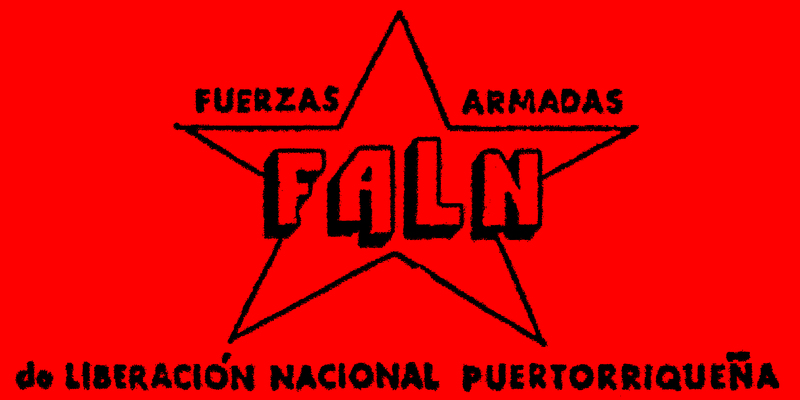 According to Joseph Bermudez’s book “Terrorism: The North Korean Connection”, three Puerto Rican revolutionary groups, the Pro-Independence Movement (MPI), the Puerto Rican Socialist Party (PSP), and the Armed Forces of National Liberation, (FALN) made contact with the North Koreans during the Cold War era. The Cubans facilitated these exchanges. In January 1969, Carlos Padilla Rodriguez, director of international affairs for the MPI, visited Pyongyang and met with Kim Il Sung. The picture of the two shaking hands was featured in North Korean state-run media. While the North Koreans devoted significant column space to the Puerto Rican cause, financial support from the North Koreans was relatively meager. 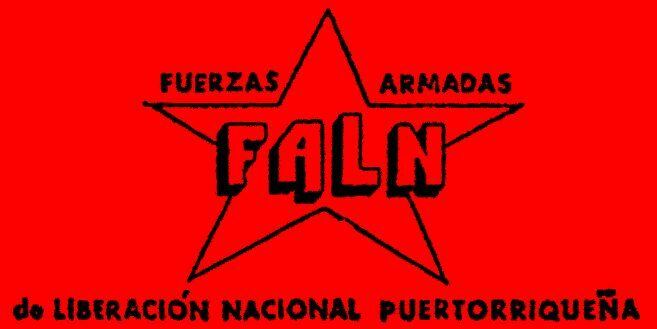 However, according to Bermudez, a few members of the FALN received guerilla warfare training and weapons from the North Koreans in the late 1970s. While congratulatory messages from obscure Puerto Rican socialist organizations sometimes appear in KCNA nowadays, the alliance between North Koreans and Puerto Rican independence activists is all but gone. While Mao earned the highest respect from idealistic revolutionary youth on U.S colleague campuses during the late 1960s, Kim Il Sung was not forgotten. In fact, the largest group of white radicals, aside from the infamous Weathermen, formed the “Juche Collective” in Cambridge, Massachusetts near the Harvard University campus. This group lived in two houses, with fifteen to twenty people in each house, and operated a food co-op and a bookstore. The group published a newspaper, entitled “JUCHE.” The newspaper featured a cover page that read: “JUCHE: USE WHAT YOU GOT TO GET WHAT YOU NEED.” A quote from Kim Il Sung was also included. While the image of North Korea as a self-reliant nation clearly appealed to this group of young white radicals, the newspaper’s contents mostly focused on the Black Panther Party and the black freedom struggle. The police later raided the houses of the “Juche Collective” in November 1970, and several members were charged with possession of narcotics and firearms. The Harvard student newspaper, The Harvard Crimson, asked Richard Elwin about the conviction. The “Juche Collective” was not the only predominantly white radical organization in the U.S. sympathetic to North Korea. A group of U.S. intellectuals in New York City formed the American-Korean Friendship and Information Center (AKFIC) in 1971. According to Brandon Gauthier’s research, North Korea funded the AKFIC as it hoped “its members would succeed in convincing the American public to support the withdrawal of U.S. forces from the Korean peninsula.” Unlike the more revolutionary and militant “Juche Collective,” the North Koreans enthusiastically embraced the AKFIC as a key part of its soft power campaign in the United States. 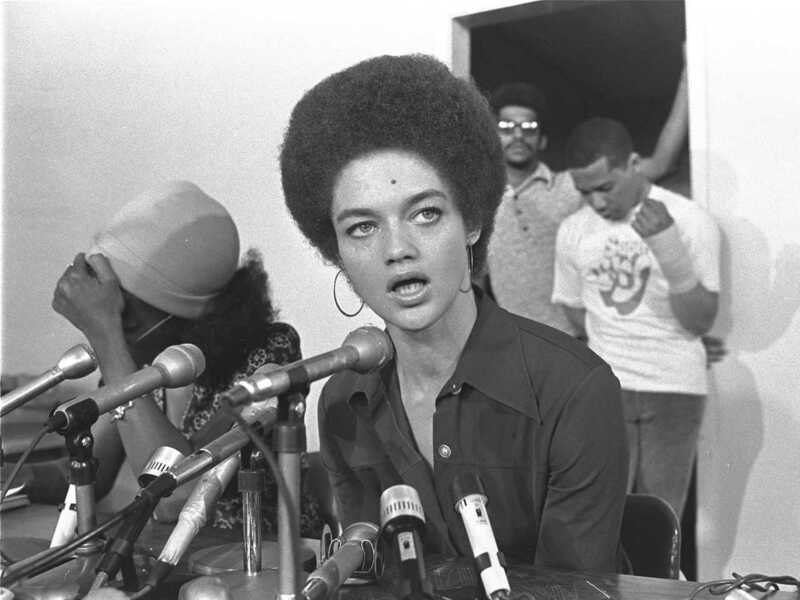 Spearheaded by the efforts of its Minister of Information Eldridge Cleaver, the Black Panther Party also established close links with the DPRK. In 1969, Cleaver was invited to the world conference of revolutionary journalists in Pyongyang. During this trip, Cleaver became enamored with socialist life in the DPRK. While sitting in his hotel in Pyongyang, Cleaver wrote a letter back to Panther headquarters in Oakland. In 1972, Eldridge Cleaver helped publish a book consisting of Kim Il Sung’s speeches. This book, entitled “Juche! The Speeches and Writings of Kim Il Sung”, included a foreword written by Cleaver. 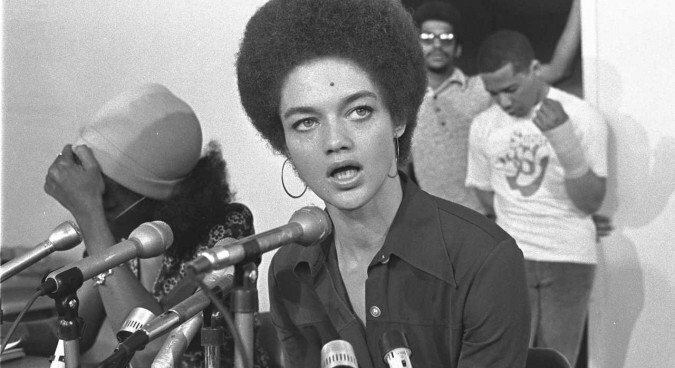 Despite his praise for the Great Leader, Cleaver lost touch with the North Koreans after the FBI’s dismantling of the Panthers in the mid-1970s. While the days of DPRK-funded groups operating out of Fifth Avenue suites are long gone, the North Koreans still have sympathizers in the United States. For example, a 72-year-old Korean living in Los Angeles Ken Roh operates Minjok Tongshin, a pro-DPRK online news site. In addition, the Korean American National Coordinating Council in New York City helps Korean-Americans visit the DPRK on propaganda trips, and some fringes of the so-called “alt-right” have expressed solidarity with Pyongyang. While these pro-DPRK groups in the U.S. are relatively small in size, that does not curb their potential to influence public opinion in the future. Featured image: The State Governors’ Negative Collection, 1949-1975, Washington State Archives.